As early as 1860, Randwick Council set aside the sum of £10 to establish a local library. Eighty five years later, in August 1945, Alderman Dwyer moved that a municipal library be established at Kingsford. Negotiations once again failed, and a temporary library was proposed adjacent to the Randwick Town Hall. The foundation stone for this library was laid with great fanfare by the youngest ever mayor of Randwick, Lionel Frost Bowen in June 1951. This became Randwick's first free public library service, opening to the public on 12 July 1952, with a book stock of 9 500 items. 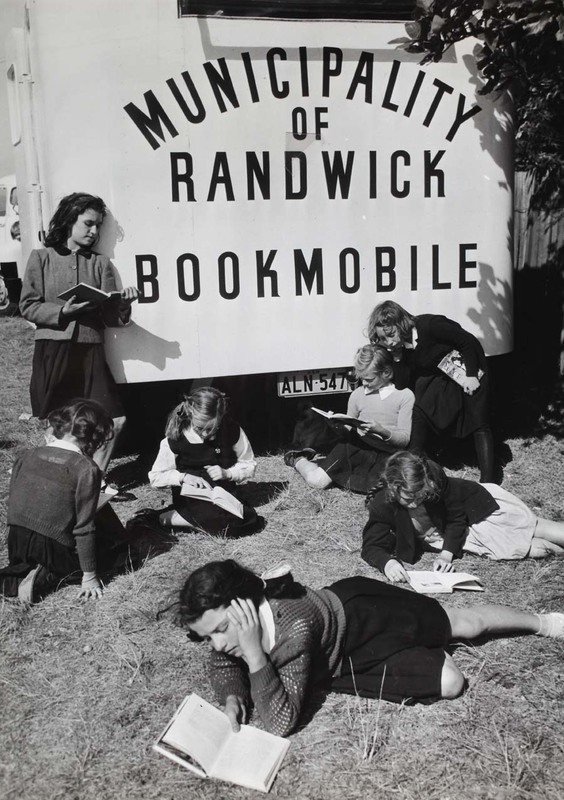 In November 1953, less than a year after the opening, the mobile library service commenced. Over the next quarter of a century this service expanded to two articulated vans and serviced residents in the more remote areas of the city and 21 schools within the LGA. The mobile libraries were eventually phased out in 1977-78, before passing into local folklore. They are still fondly remembered by local residents, including the likes of Bob Carr, who were patrons of the service. In 1973 a 'home and hospital' library service was established in partnership with Waverley Library. Today the Randwick City Library caters to the needs of housebound and infirm customers by itself, with a Home Library Service that, in 2014, caters to the needs of just over 220 patrons across the city. 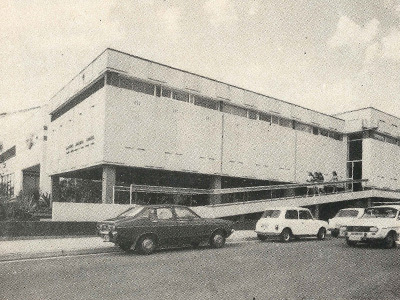 In 1969, the central library moved from Randwick to a new purpose built library and senior citizens centre at Maroubra. This building was built at a cost of $280,000 on the eastern side of Anzac Parade, Maroubra Junction. Funding of public libraries has always been a vexed issue across New South Wales. In 1975, $455,667 was expended by Randwick Municipal Council on library services. The Council received a NSW government subsidy that year of $94,845, to assist with library running expenses. At this time, the library's total book stock was 95,000. Circulation was 500,000 per annum with 39,000 registered borrowers. In an attempt to defray these costs and achieve efficiencies in service delivery, a joint library service agreement was struck between Randwick and Botany Councils. The Joint Library Service was established in January 1976, between the two councils. This saw the establishment of branches at Coward Street Mascot and Botany Town Hall, with the continuation of library services at Maroubra and the opening of new branches at Matraville (1978) and Randwick Branch in the Royal Randwick Shopping Centre (1990). The partnership was relatively short lived as local politics saw parochial interests lobby for the dissolution of the joint library service, a decision that was eventually made, amongst much acrimony, in 1983, by then Mayor of Botany Ron Hoenig. By 1984, Botany Library Service was again a separate entity. Yet undoubtedly the most traumatic event in our library history was what became known as the "Mother's Day Fire", of May 1987, when the Maroubra central branch library was burnt beyond repair. 55,000 items of the 75,000 adult book stock was destroyed. The library's audio visual collection, then considered one of the best in NSW, was destroyed. "Many of the staff were very distressed when they arrived at work on Monday morning to see the library burnt out". Months were spent cleaning and repairing what book stock could be salvaged. Out of the ashes, rose the new Maroubra Central Branch Library named after Lionel Frost Bowen MP, the Bowen Library. On the opposite side of Maroubra Road to the 1969 building, our current home was opened to the public on Monday 9September 1991. Costing between $7.5-8 million to construct and fit out. It had a computerised lending system, dedicated local and family history room, auditorium for up to 100 people and car parking facilities below. Randwick Library Service enjoys the staunch support of the local community, never more evident than in 1992, when local community action saved the proposed closure of Malabar Library from going ahead. Malabar Branch continues to thrive and has been recently renovated internally and enhanced with the addition of a much loved outdoor library in 2011. Randwick Library Service is a modern library service committed to life-long learning and engaging the local community through our book collection but also our electronic resources, author talks, exhibitions and community activities. In 2015/16 the library held 1,898 events with 41,894 people attending. In addition to our three libraries, members can access information online via our website. in 2017/18 There were 231,522 visits to the Library Homepage and 3,779,904 online resource searches.